“I have learned to kiss the wave that throws me against the Rock of Ages,” said the British preacher, C.H. Spurgeon. Embracing trials in a God-honoring way is the theme of Dave Furman’s new book, Kiss the Wave. The author does not write in an ivory tower. Nor does he write as a mere spectator. Rather, Furman writes as one who has been tormented by depression and pummeled by physical adversity. Inspired by the godly example of Spurgeon, Pastor Furman speaks candidly about the hurts, trials, persecutions, and ailments that Christians face in a fallen world. His biography is a fitting backdrop to the finer arguments that emerge in the pages of this book. Furman writes as a seasoned pastor. His counsel, encouragement, and admonition is laced with grace and sensitivity and offers hope to people who are walking through a season of bitter providence. A few outstanding features of the book will attract a host of readers and invite many more to study these pages and walk away encouraged. First, this is a personal book. Furman is candid about his battle with a debilitating nerve ailment and the corresponding depression that goes along with it. Frankly, he admits some struggles that most pastors would never dream of sharing. This makes Kiss the Wave deeply enduring and helpful. Third, this book is propelled by the gospel. Readers looking for a quick fix or self-help solutions should look elsewhere. Here, we find the exaltation of the gospel which delivers sinners from the penalty of sin and power of sin. The promises of God shine in Kiss the Wave and beckon readers to cling to Christ. Finally, this book offers a much-need perspective. Dave Furman admonishes readers who are plodding on a nomadic journey to the Celestial City: “This land is not our home. As Christians, we are all expatriates, passing through this earth, holding a passport and citizenship to another place. Be encouraged to take the long view in your suffering. This life is a blip on the radar of eternity. 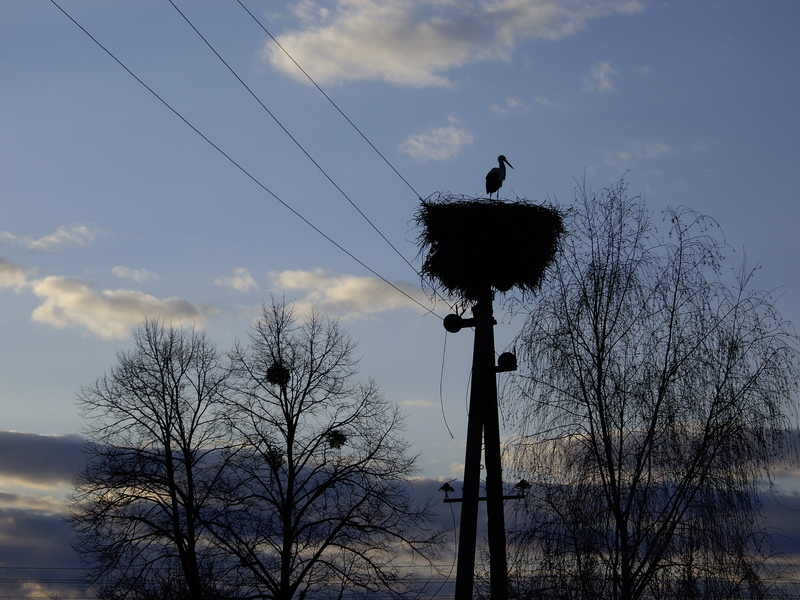 It’s a small knot in an infinitely long rope.” Such is the perspective of a God-centered author. And such is the perspective of a reader who is captivated by the Savior and strengthened by his gospel. The debate over the sovereignty of God and the free will of man originally heated up between Augustine of Hippo and Pelagius in the 4th century. This debate has raged throughout church history and does not show any signs of letting up. Arminians accuse Calvinists of serving a “tyrant God” who plays the role of a puppet master, making free will an illusion. Calvinists accuse Arminians of serving a “timid God” who is weak at the knees. 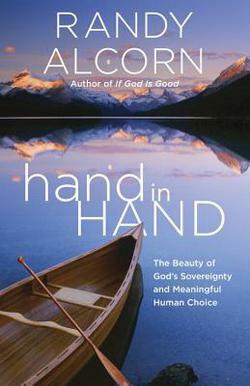 Hand in HAND by Randy Alcorn addresses the thorny issue of God’s sovereignty and the free will of man. Alcorn does not promise to end all arguments. But he does enter the ring as a sort of “theological referee.” The author is a former Arminian theologian who has since turned into a Calvinist. While Alcorn prefers to say that he is a 4 point Calvinist, since he is uncomfortable with particular redemption, he is committed to Calvinistic presuppositions. This theological shift allows the author to sympathize with Arminians and provide some good teaching points for Calvinists who tend to be overzealous. 1. To develop a deeper appreciation for God and his Word, which reveals him to us. 2. To help us mirror Christ’s humility. 3. To embrace all of God’s inspired Word, not just parts of it. 4. To foster unity in the body of Christ. 5. To avoid fatalism and crushing guilt. 6. To prevent us from becoming trivial people in a shallow age. The author surveys the biblical data which point to the biblical reality of God’s sovereign control over all things as well as human responsibility. He notes how these two realities intersect, creating a paradox not a contradiction. One chapter is devoted to addressing the matter of Open Theism, a theological cousin of Arminianism which denies God’s definite foreknowledge of all things and affirms the libertarian free will of the creature. Alcorn makes it clear that both points are patently rejected in Scripture. First, Alcorn writes with the proper tone and spirit. Much of the debate the occurs over these matters produce more heat than light. Dave Hunt’s Book, What Love is This is a good example of this mean-spirited approach which caricatures a given theological view. Alcorn approaches the subject with humility and gentleness and invites readers of differing opinions to pay careful attention to the arguments. Second, misunderstood terms are clearly defined. The author does a good job of providing working definitions that are biblical and understandable. The clear terminology should help in future debates between Calvinists and Arminians. Third, the lines of orthodoxy are clearly drawn. Both Calvinists are Arminians are included in the so-called box of orthodoxy. This point is of great value, especially when both schools of thought accuse each other of heresy. Alcorn invites both sides to engage in meaningful debate without name calling. Additionally, Alcorn rightly notes that Open Theism is outside of orthodoxy. Any theologian who refuses to grant God the ability to possess definite foreknowledge of all things has moved outside the perimeter of orthodoxy. Fourth, a determinism continuum is presented. Sadly, many readers and students of theology are unaware of the theological landscape which includes many views concerning determinism and free will. The author clearly describes and defines these views: Hyper-Calvinism (outside orthodoxy), Compatibalism, Molinism, Libertarianism, and Open Theism (outside orthodoxy). Sixth, all readers are admonished to trust a sovereign God. In what proves to be the best chapter in the book (chapter 10), the author encourages readers of all theological backgrounds to trust in a God who is sovereign. Hand in HAND will not be received well by Open Theists and Hyper-Calvinists. Some Arminians and Calvinists may be bothered as well by some of the content. But as a pastor who has travelled a very similar theological path from Arminianism to Calvinism – and even attended the same Bible College, I trust that thousands of people will devour Hand in HAND in the days ahead. There is no doubt that Alcorn’s work will spark questions and stimulate debate. But my prayer is that the debate will produce more light than heat. And in the final analysis, people will be drawn closer to the Savior and bank on his all-sufficient grace. Indeed, he is sovereign over all! The only one who has taught me more about the sovereignty of God than John Piper is Jonathan Edwards. Dr. Piper does not disappoint in this edited work. The chapters are compiled in a series of transcripts from the 2005 Desiring God Conference, Suffering and the Sovereignty of God. This review serves as a summary of some noteworthy chapters. Piper’s opening chapter unfolds ten aspects of God’s sovereignty over suffering and Satan’s role in it. He points the reader to the eternal and infinite God; a God who stands in sharp contrast to the finite and contingent creature. The insight that Piper offers in this chapter are simply breathtaking. Dr. Mark Talbot pens one of the most helpful and beneficial chapters on compatibalism to date. The doctrine affirms that God ordains everything that comes to pass and also affirms that agents make free, responsible choices. God never does evil, but he does in fact ordain or decree evil. Talbot’s explanations are philosophically and theologically satisfying and are expressed with warm pastoral concern. Pretty good work for a philosophy professor! Dr. Talbot’s chapter is worth the price of the book. Steve Saint poignantly describes the murder of his father, Nate Saint and shares his personal pain as a child and the events that God used to soften his heart and make him usable vessel in God’s kingdom. There are so many rich nuggets in this volume. Read it and be prepared for the difficult days ahead. Suffering and the Sovereignty of God is a welcome addition to students taking the Veritas course, Mending the Achilles Heel: A Biblical Response to the Problem of Evil. This week I re-read Jerry Bridges excellent book, Trusting God. I had no idea what I was getting myself involved with when I first opened this book over twenty years ago. Three years of Bible College had somehow blinded me to the precious reality of the sovereignty of God in all things. Truth be known, my education can not be blamed for my ignorance concerning God’s sovereignty. Rather, my pride got in the way of truth and hijacked one of the most incredible maxims in Scripture. The author provides an “accessible gateway” for learning the doctrines of grace. Admittedly, this gateway seems simple enough to begin with. But by the end of Trusting God the reader is launched to into the thin air of Mt. Everest! Bridges introduces readers to the breathtaking doctrines of God’s decrees, providence, and his comprehensive sovereignty. Thoughtful readers will linger at the summit longer than a climber on the real mountain. And passionate Christ-followers purpose to stay at 29,045 feet for the rest of their lives trusting in a God who promises to work for them (Isa. 64:4).